Extreme cold can be incredibly dangerous and can quickly result in frostbite, lead to hypothermia, and other life-threatening situations. Throughout the winter make sure to get the latest weather updates through the National Weather Service. In case of an emergency, call 9-1-1. PADS Lake County provides overnight shelter, food and hospitality for individuals and families with children experiencing homelessness. View the list of shelters. Before going to a center, please call in advance to confirm availability and hours. View a list of warming centers Lake County has compiled. Warming centers are available in state facilities across Illinois. Are you seeking shelter for your pet during the extreme cold weather? The Lake County Animal Care and Control Program in Libertyville will board your pet at no charge. Please call 847-377-4700 and press "3" when prompted to page the warden on call. Callers should leave their full name, phone number, and available time(s) to drop off their pets. Unfortunately, Animal Care and Control is unable to pick up your pets. Proof of vaccination must be presented prior to release. Extreme cold is dangerous for pets. Keep your pets safe by following these tips. When winter weath er impacts roads, Lake County PASSAGE is your go-to resource for local road information. Visit lakecountypassage.com for a map of current road conditions, and events including crashes, stalls, debris, and other roadway incidents. From the PASSAGE website, you can access images from the traffic cameras. Looking at the camera images before you leave allows you to see how the weather is impacting the roads. This can help you make decisions about how early to leave and which routes to take. The Lake County Division of Transportation (LCDOT) plows Lake County highways, the ones marked with the five-sided blue and gold route markers such as Butterfield Road, Washington St, and Buffalo Grove Road. We do NOT plow state routes like IL 120 or IL 60. State routes are maintained by the Illinois Department of Transportation. View the Map of LCDOT Snow Plow Routes. Avoid prolonged time outdoors. 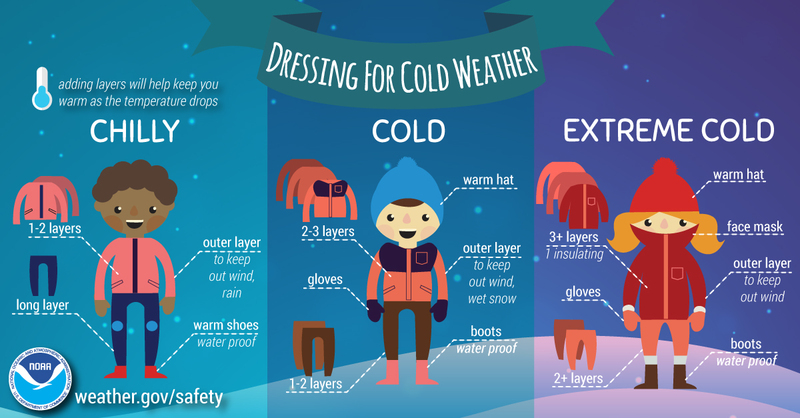 If you must spend time outside, follow this guide on how to most effectively dress in extreme cold. Homes with high-efficiency furnaces should make sure the venting to the outside of the home is clear and not snow covered.